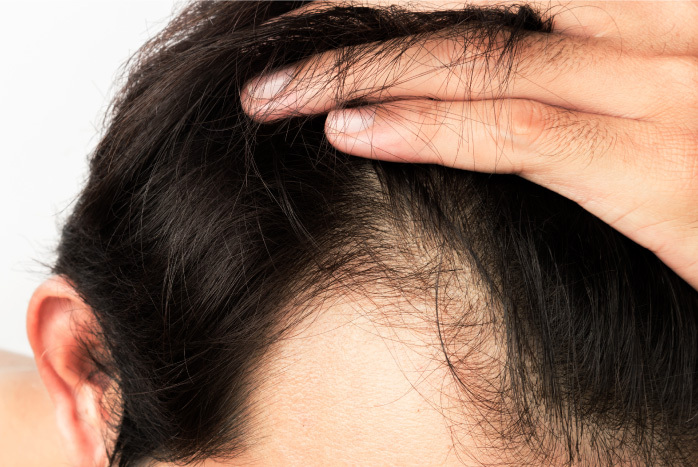 Within the framework of the prescribed hair treatment protocols, specific care of the scalp can be recommended in order to optimize and stimulate the results. These treatments, carried out in an individual cabin, target with redoubtable effectiveness the various capillary problems such as the lack of oxygenation of the scalp, the regulation of the excess of seborrhea, the lack of hydration of scalp and all the related problems to hair loss. STIMULATION OF HAIR GROWTH Stabilization of the hair loss and tone due to an infrared pulse generator. ELIMINATION OF SEBORRHEA Regulating sebum due to the repeated passage of galvanic current on the scalp. SCALP HYDRATION Hydration, Vascularization and Stimulation due to the generator of positive and rectangular pulses. Different types of scalp care are offered in individual cabins in our institutes, with or without using devices, with the objectives of oxygenation of the scalp, regulation of seborrhea, hydration and regulation of the scalp and regulation of hair loss. The stimulation of the scalp helps to promote a better vascularization and oxygenation of the scalp with the application of essential oils and a draining and relaxing massage. (Duration 50mn).